By: Breana Lai, M.P.H., R.D. Broth, or stock, is the foundation of many soups, stews and sauces, so it's really important to find a brand you like or, better yet, make your own. One of the first recipes I learned in culinary school was how to make homemade chicken and vegetable stock. 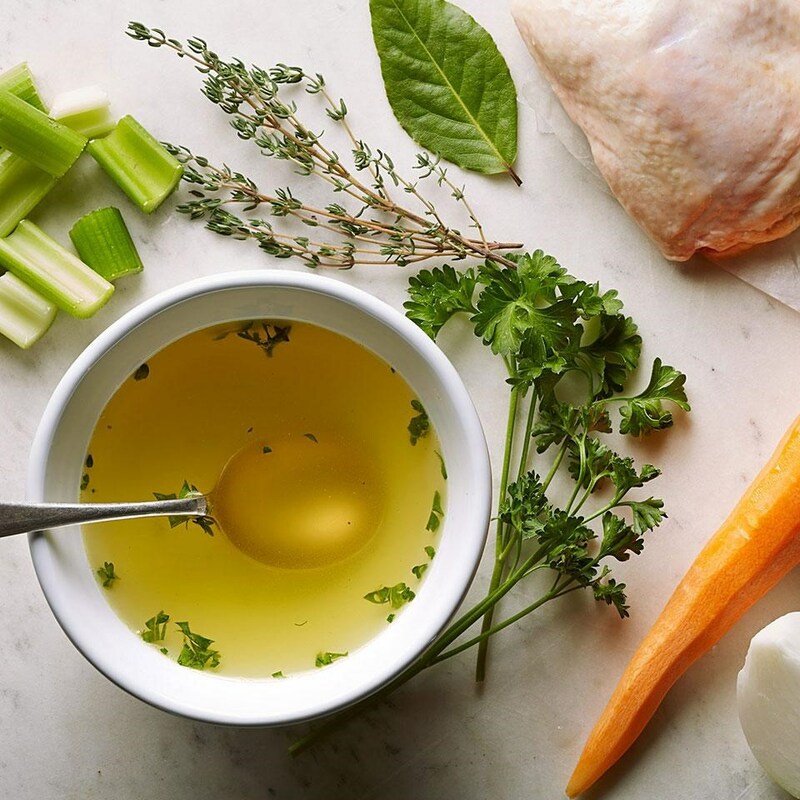 For chicken, both stock and broth start with the same base of vegetables (carrots, celery, onions), herbs (parsley, thyme, bay leaf) and water, yet broth has an enhanced flavor from using the chicken meat while stock generally only uses the chicken bones. For vegetable stock, only vegetables are used, so often mushrooms, fennel, leeks or tomatoes are added too. To increase the flavor even more, roast your vegetables or chicken bones before adding them to the water to simmer. In general, many recipes and store-bought products use the terms interchangeably. Is It Worth It to Make Your Own Stock or Broth? 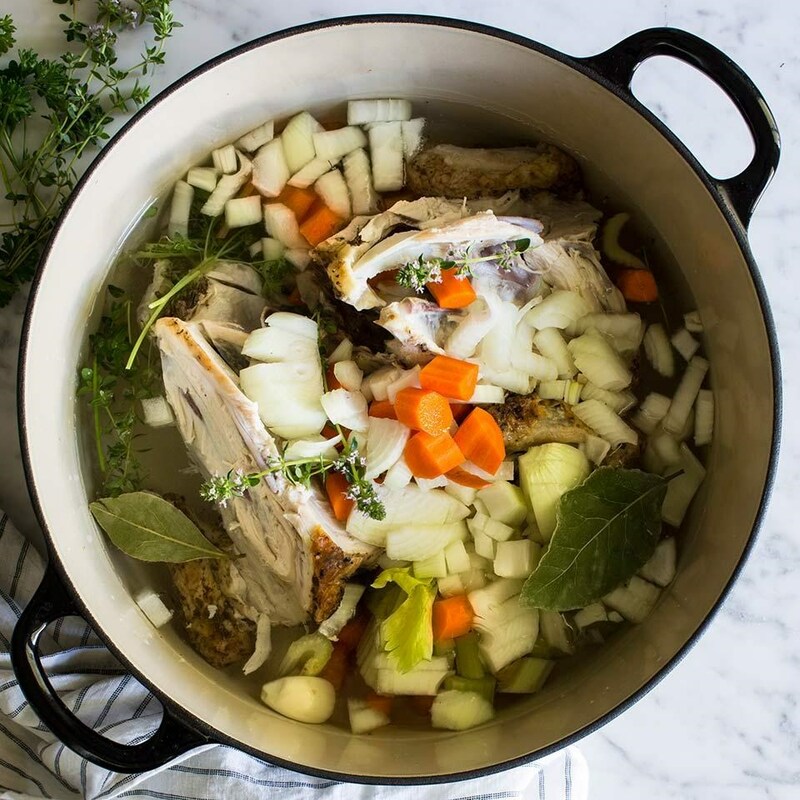 While it is convenient to buy packaged chicken broth or stock, making your own not only provides better flavor, but is also economical and allows you to control the amount of sodium in your food. It's also a great way to make the most of veggie scraps and leftover chicken bones that are destined for the compost. If you do opt for store-bought broth, the most important thing is to find one that pleases your palate. Most store-bought broth is high in sodium, delivering close to 1,000 mg per cup! Look for stock or broth labeled "reduced-sodium" (averaging 500 mg/cup), "no-salt-added" (averaging 200 mg/cup) or "low-sodium" (140 mg or less/cup). Some brands are lower in sodium, but not labeled as such—check the nutrition panel to compare. And remember, you can always add more salt if you want. Ready to make your own? Here are basic recipes for making your own chicken and vegetable stock. In this recipe, we use economical chicken leg quarters and simmer the stock long enough to develop an ultra-rich taste. Plus, there's no added sodium in the recipe—just salt to your personal preference. If you have two stockpots or large Dutch ovens, consider making two batches and freezing one—you'll be happy you did. 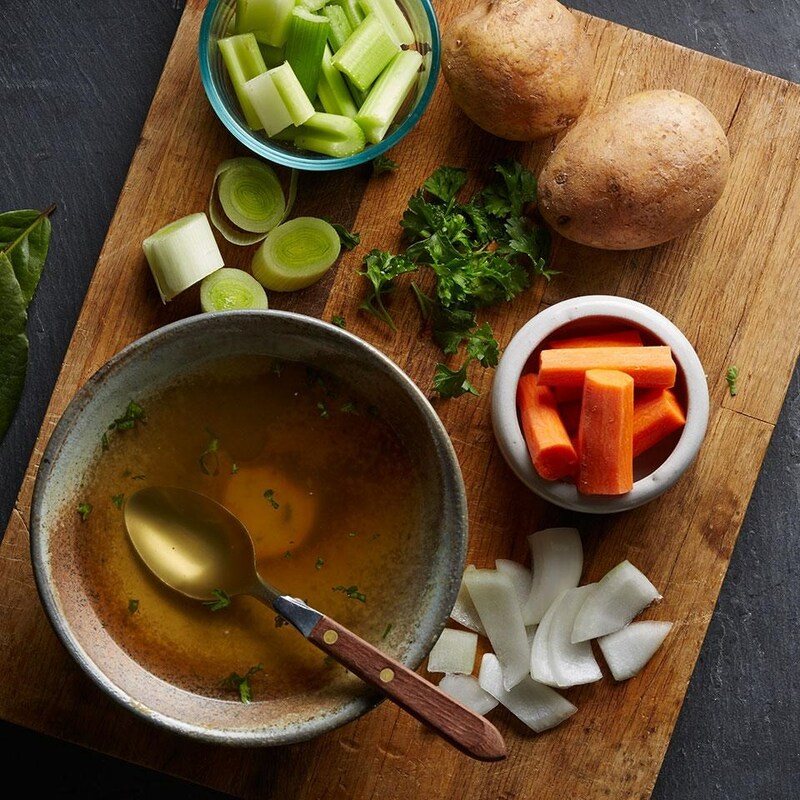 This easy broth made with carrots, onions, celery, potatoes and herbs provides subtle, earthy flavor for meatless soups and stews. Extra broth will keep in the fridge for up to 2 weeks and for 6 months in the freezer. To freeze your stock, fill quart-size plastic storage bags with the cooled liquid and lay them flat in your freezer for easier storage. Before filling the plastic bags, don't forget to label and date them! Here are a few ways to use up that broth. • Use broth instead of water to cook whole grains, such as brown rice, quinoa or barley. • Moisten leftovers, such as a casserole, before reheating. • Swap for water when steaming vegetables. • Mash into potatoes instead of cream. • Deglaze your pans—i.e., scrape up the browned bits—with broth instead of wine. • Make gravy. Combine broth with flour or cornstarch, then whisk it into your pan drippings.